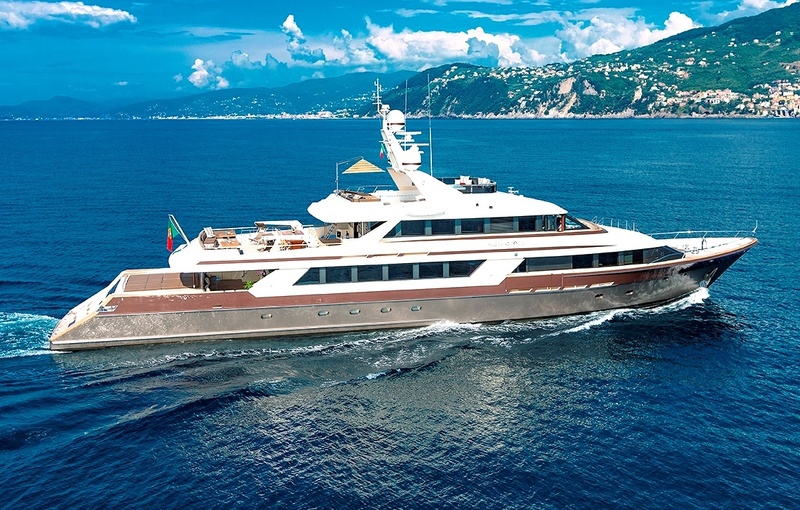 The owner of Cloud Atlas has a very specific vision for the new and improved yacht. 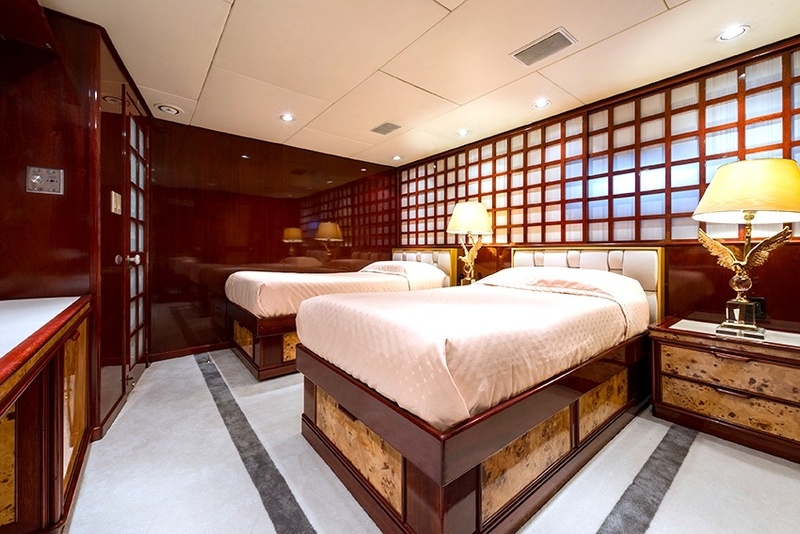 The entire lower deck will be revamped; they envision a soothing space perfect for winding down to a level of zen appropriate for a summer charter. 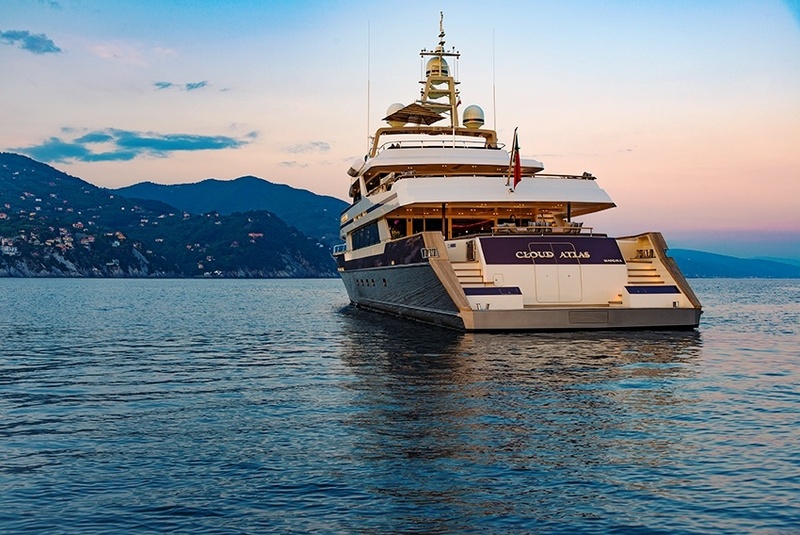 As a celebration of her reemergence onto the high seas, Cloud Atlas will be charging no delivery fees for the first charter booked from every port between the Amalfi Coast and the South of France. Cloud Atlas is an impressive 46m from Lloyds Ships. 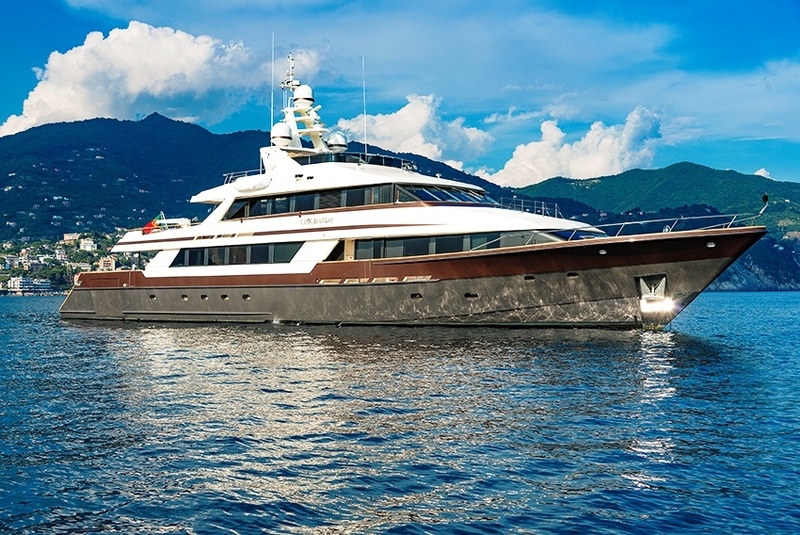 Built in 1990, she benefited from a 2016 refit which entailed a 4m hull lengthening to create space for a brand new water toy garage, as well as a total overhaul of the main engines and generators. The vessel’s graceful lines create an overall impression of fluidity, whilst a unique glass feature blurs the boundaries between indoors and out. She is light, airy and non-oppressive, moving away from heavy-duty luxury and towards uncluttered chic. 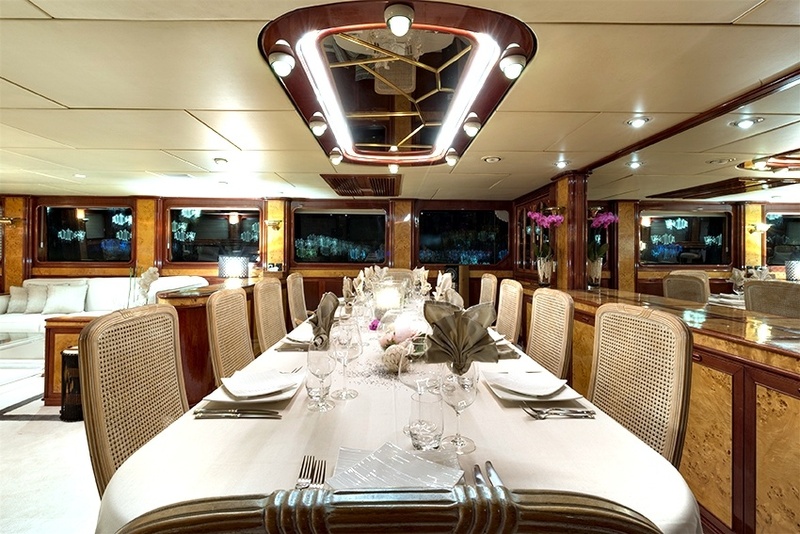 A spacious salon with comfortable lounge, formal dining area and fully equipped bar comprises a wonderful entertainment and leisure area on the main deck. 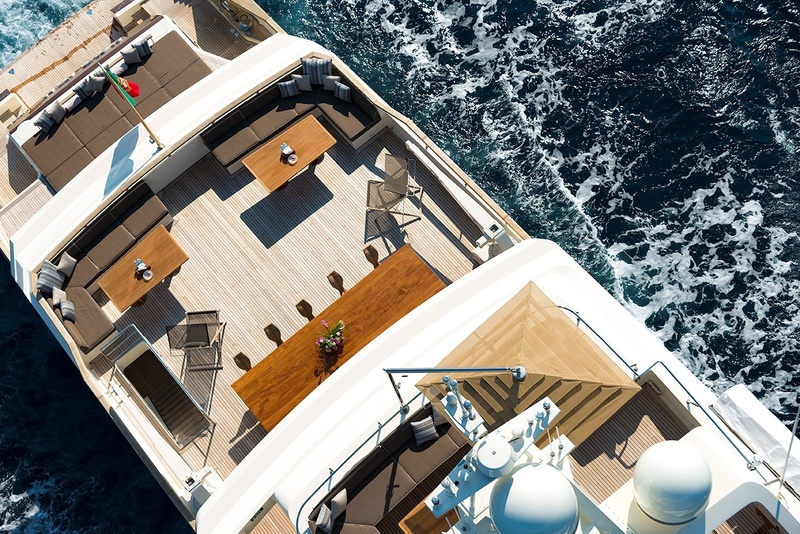 Another standout feature is the sky lounge on the upper deck; a warm and welcoming space consisting of a TV area with plush seating and wraparound windows yielding panoramic views. 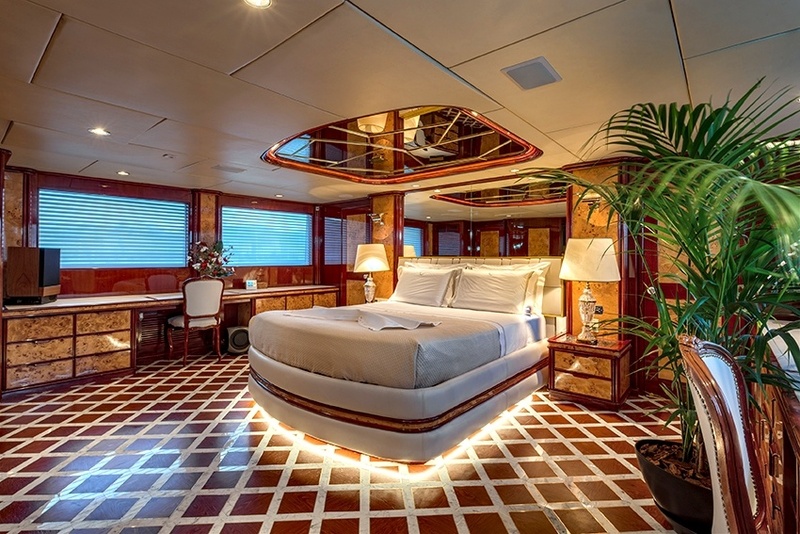 Cloud Atlas has five cabins to accomodate guests: A master suite on the main deck with vanity and jacuzzi bathroom, and two double suites on the lower deck, both of which have beautifully appointed marble bathrooms and the latest entertainment systems. 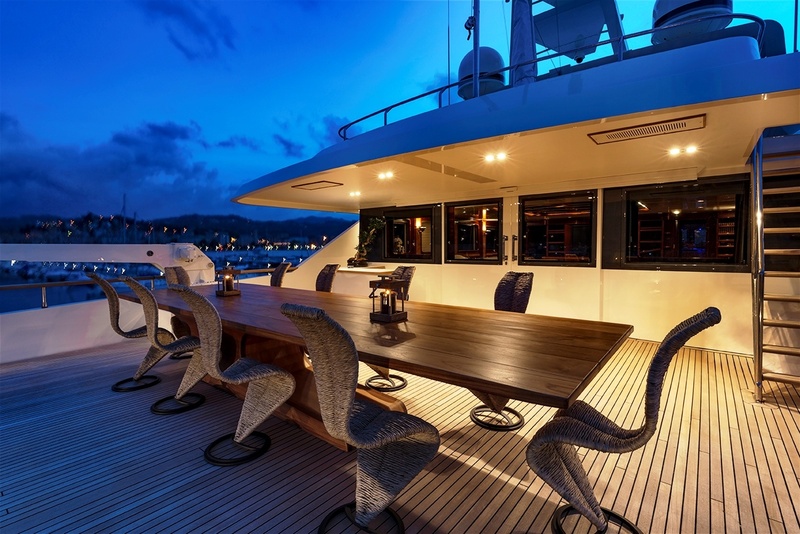 Her outdoor spaces span three decks and covet extensive facilities to guarantee that guests are constantly relaxed and entertained. 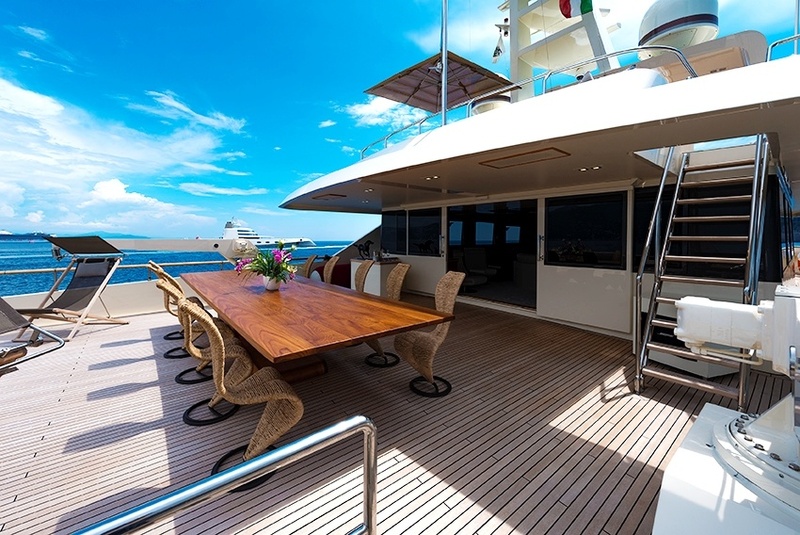 A sprawling sundeck houses a jacuzzi with solarium and shaded seating, whilst the upper deck boasts alfresco dining and outdoor bar. Sunbathing and lounging spaces dispersed throughout. 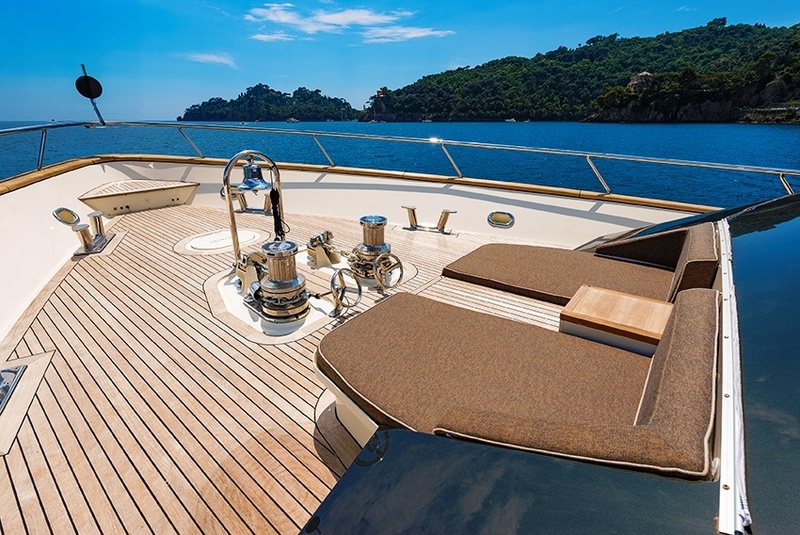 The 46m is as much an experience for the active charterer than the leisure-seeking. Her garage is full of toys, and a spacious swimming platform doubles as a beach club. Cloud Atlas will undergo her second refit before the summer of 2019. 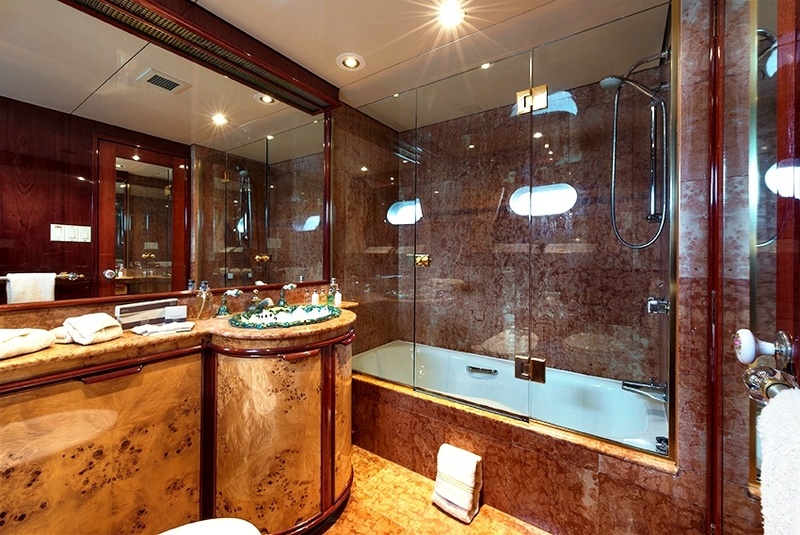 The main salon, lower deck and wheel house will be totally revamped, and the decor will experience a start to finish renovation for a completely fresh look. The layout of the cabins will also be changed. We can’t wait to lay eyes on the new and improved Cloud Atlas this summer, who will undoubtedly emerge from her restoration one of the most formidable, impressive and enviable vessels on the market.